We were all ready to explore Norway on a cruise ship. We had read beautiful stories of the vistas of Norway; especially of its fjords and the stunning landscape it offers. 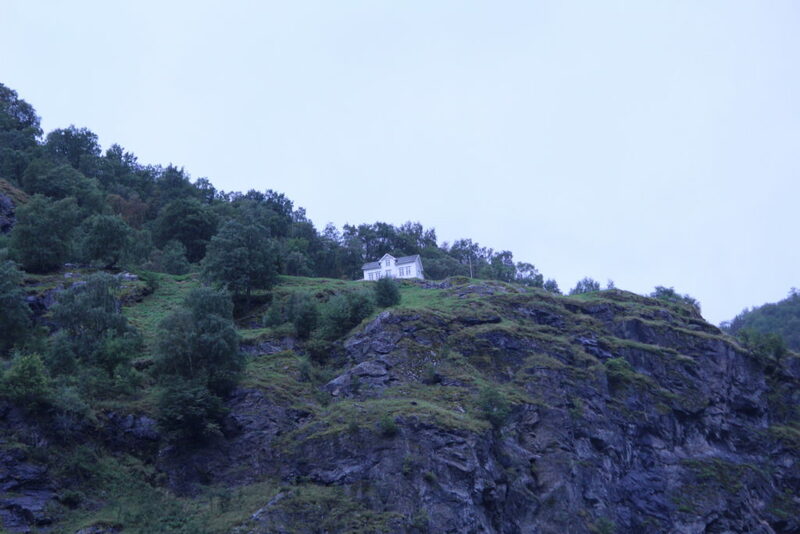 Flam, situated on the western coast of Norway, was our first destination and it did mesmerise us as expected. 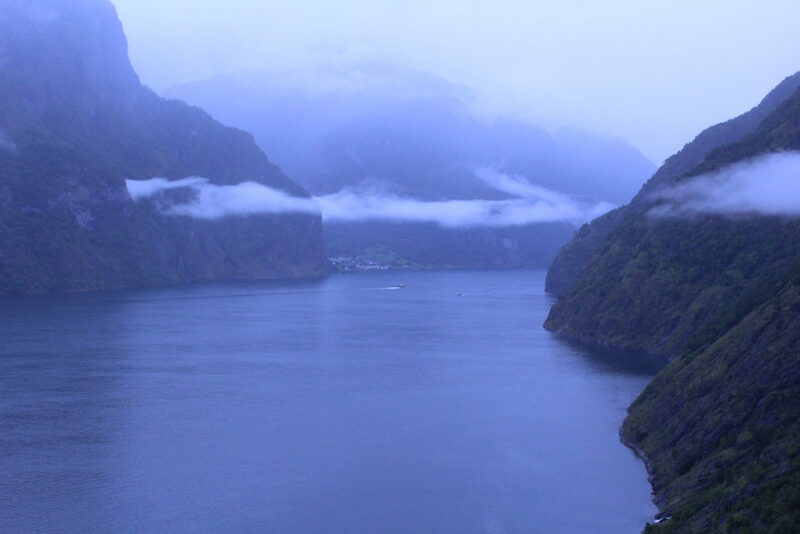 Truly speaking, words are not enough to describe the magical sights, we witnessed in Flam. Hopefully, my pictures will do some justice to describe what we experienced. Flam is a little hamlet of majestic beauty with about 700 residents, located at the inner end of Aurlandsfjord - an 18-mi long branch of Sognefjord. The landscape is colossal with deep fjords adjoining the tall granite cliffs, which are dotted with red &amp; white houses and numerous waterfalls interspersing its vastness. 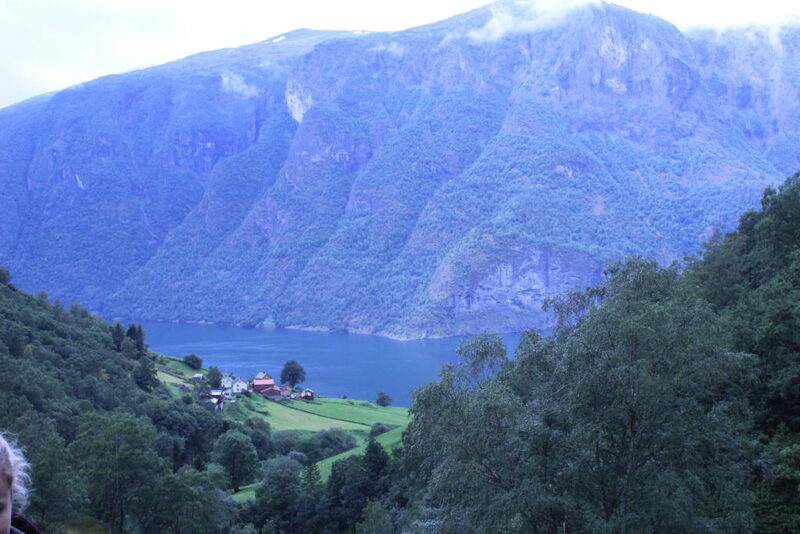 Sognefjord is the largest fjord in Norway with a stretch of 127 mi and the second longest fjord in the world. It is also listed as a UNESCO World Heritage Site. A population of just 700 people does seem a small number when one stays in India, doesn't it? :D. However, such is the beauty of the place that it receives almost 450,000 visitors every year! 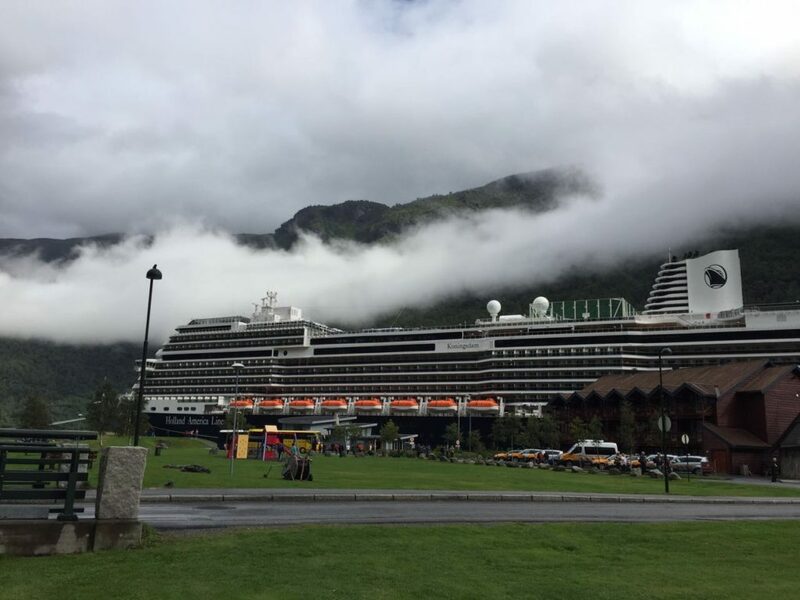 Furthermore, the Flam harbour too receives about 160 cruise ships a year. With such a large influx of tourists, it is amazing that the place is divinely charming and pristine as if left untouched. Our ship docked at Flam sharp at 8 am and was to set sail at 5 pm the same day. So, we had close to 9 hours to see this beautiful place. 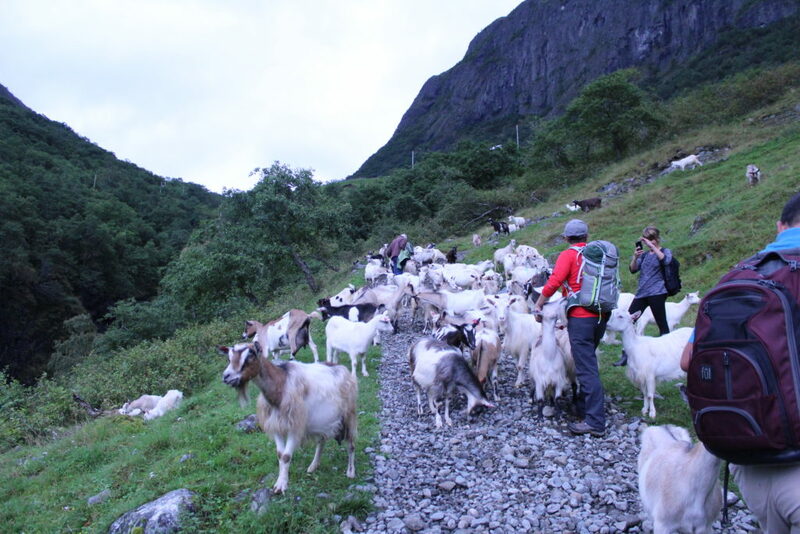 We had booked a Fjordsafari-Hiking-Goatfarm-Lunch tour with a group there (www.flamguide.no) from 9 am to 2:40 pm. The tour started with us wearing a warm, waterproof oversuit which contained a floatation device (seriously, the fjords are about 1500 metres deep in some areas!!! )and hopping onto a speed boat. Our boat guide was a Norwegian guy who had migrated from Bergen to the surroundings of Flam, where he had bought 33,000 acres of land. Yes, you heard it right! 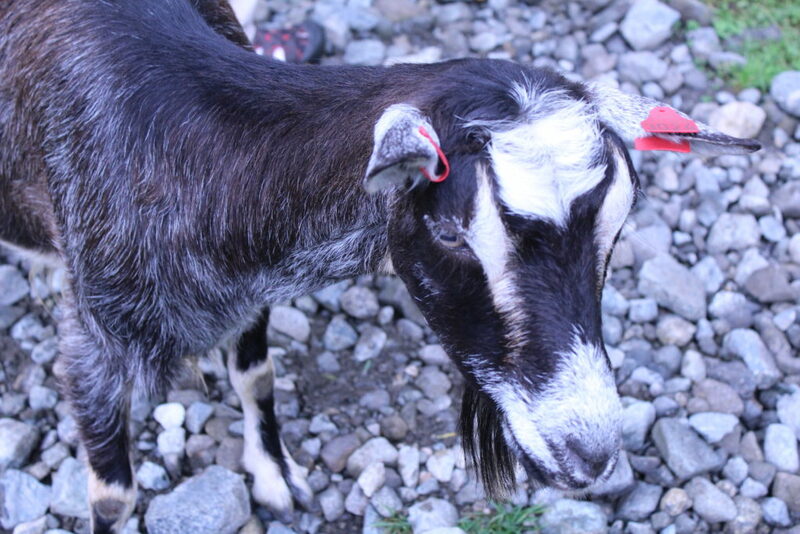 He bought a goat farm high up on the mountains adjoining the fjords. In summer time, he farms his land wherever it is arable and in other seasons, when farming is not possible, he doubles up as a guide offering his excellent services to tourists. He chose this village life over the city life in Bergen and is quite content about the way he gets time to spend with his family amidst nature! We started off towards the heart of the Naeroyfjord (branch of Sognefjord) and also sailed a bit of the Sognefjord before reaching our destination. 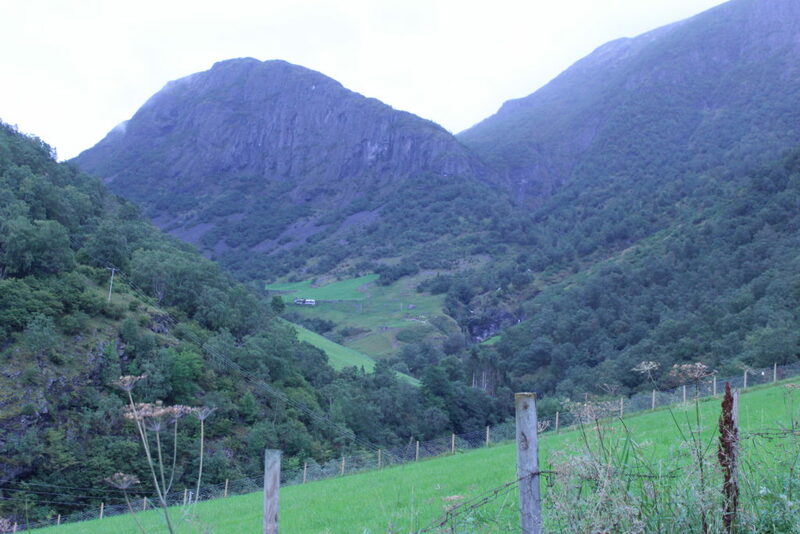 On the way there, we saw the fjord banks dotted with numerous charming hamlets and verdant farms. Inspite of being located in such a popular tourist area, these hamlets are very remotely connected and are majorly accessible only by water. One such farm - the Stigen farm, now turned into a hotel, must surely be the most inaccessible of them all. Perched up high on a cliff, this farm is accessible only by a ladder. In days of yore, when the farm had any unwelcome visitor like the tax collectors, the farmer, it seems, would simply pull up the ladder. However, now it is a very popular hotel in the tourist season and gets fully booked 3 years in advance! As we sped further ahead in our boat, we reached Undredal, the village which is famous for its goat cheese. 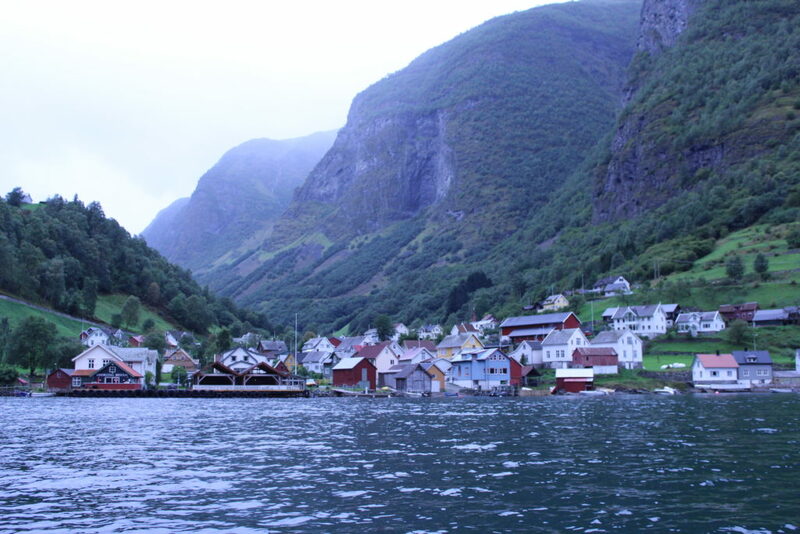 This fjord village has about only 80 residents, 300 goats and the smallest stave church in the whole of Scandinavia. Cheese production still happens here the traditional way and it is quite famous for its brown cheese. Dotted with red houses, flanking the vertical cliffs and waterfalls, this unique village in the middle of the World Heritage area, was a sight to behold! 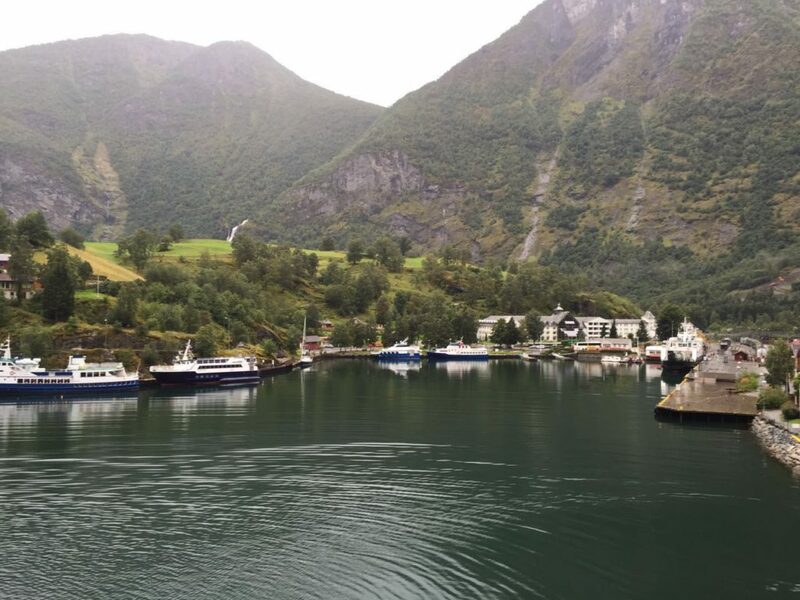 We reached Aurlandsfjord and were almost ready to dock in Skjerdal, when we spotted a dolphin jumping out of water. Some seals were making merry just on the other side of our boat. Well, this was a good start! Now, we looked forward to the hike. It had taken us about 40-45 minutes to reach Skjerdal. At the wharf, we jumped out of our speed boats, got out of our oversuits and began the rather steep but short hike towards Leim goat farm. It was a beautiful hike with splendid views of the fjords along the way. Soon, we reached a motorable road along our hike route, from where we spotted the white Leim farmhouse. We continued the hike and came across a stony path filled with adorable goats, just below the farm house. The goats were very friendly and were trying to chew at our backpacks;) We spent some time clicking pictures and goofing around with the goats and then made our way to the farm house. The 1.5 hour hike was a bit tiring, particularly as it brought us along some steep climbs. On reaching the farmhouse, we were greeted by a young Norwegian girl, dressed in a local attire. She was home on vacation and was helping her mom cater to the tourists. 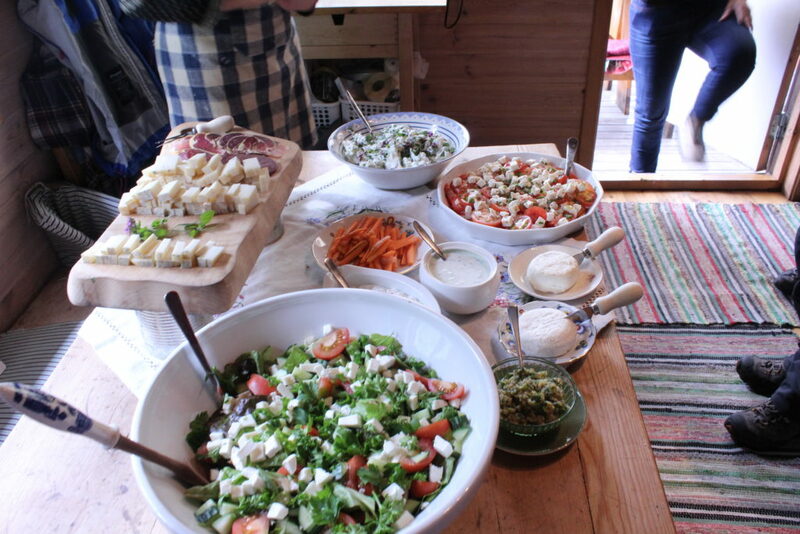 She herself had prepared delicious lunch of salads, pesto, salami, goat milk spiced yoghurt and a variety of cheeses for us. Ravenous as we were after the hike, we immediately settled down on a terrace overlooking a beautiful valley for a sumptuous lunch. She served us the lunch with some warm bread and fresh apple juice. The cheeses were all home made from their own farm's goat milk and so was the meat. Meat was obtained from the old goats who were no longer useful. 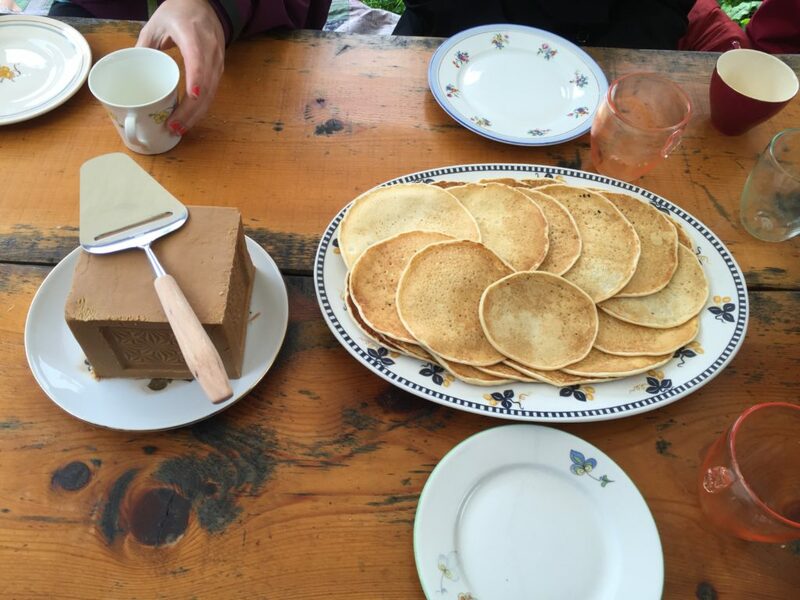 As we gorged on the food, she further brought in plates of pancakes with brown cheese...yeah brown cheese! It is the cheese which is made from the leftover whey. A delightful gastronomic experience it was! It started raining while we were having our lunch and this made the vistas around us all the more beautiful. Mists of clouds were drifting over us as we started our descent. It just seemed magical. Our hiking guide told us that it was the fjords and the culture of Norway (Undredal and other places) which inspired Disney's movie Frozen. No wonder, the region seemed like a fairyland in the mists.